Enjoy uninterrupted 360-degree panoramic views of Melbourne, Port Phillip Bay and the surrounding areas! In-cabin audio commentary will reveal interesting stories about Melbourne past and present! Go up to its peak height of 120 metres, the equivalent of a 40 storey building, and see far beyond the horizons! Such a nice night view of Melbourne. Klook offers cheaper than the admission counter. Thank you Klook! 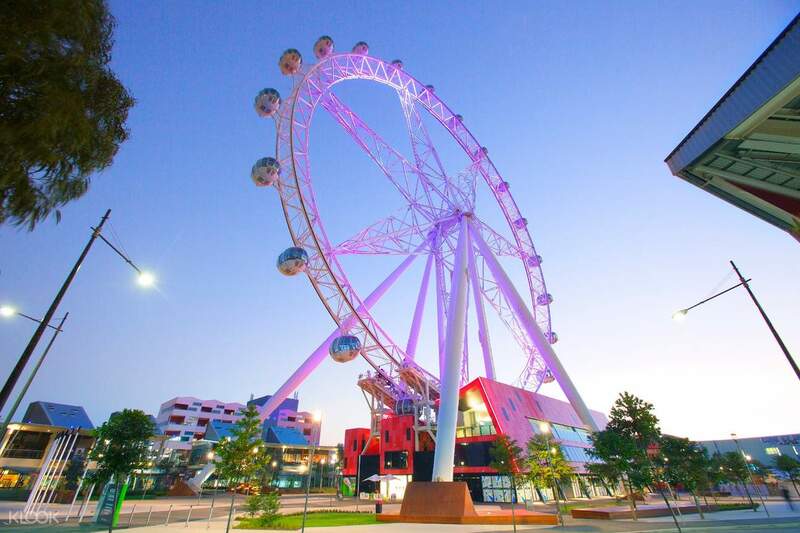 The incredible Melbourne Star is the Southern Hemisphere's only Giant Observation Wheel, and one of the most famous attractions in the City of Melbourne. Grab a ticket that gets you onto this gigantic flyer, giving you 30 glorious minutes rising up to one of the highest vantage points in the entire city. 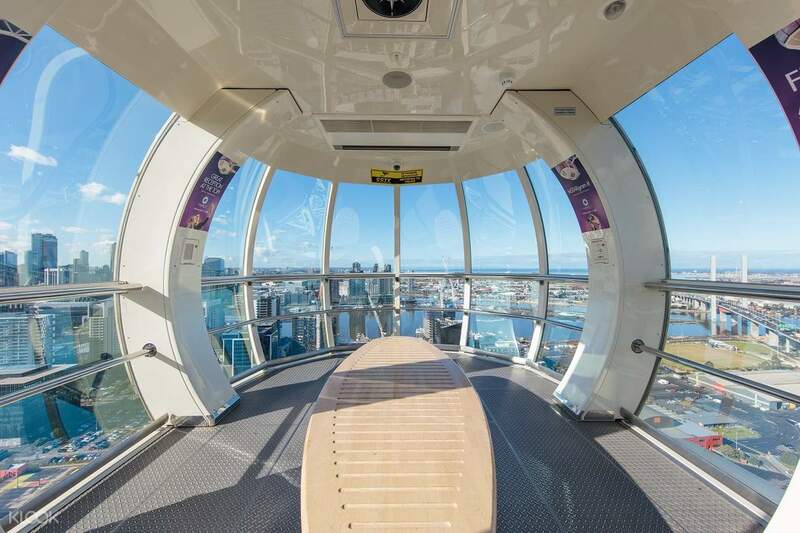 Breathtaking panoramic views of all of Melbourne will be laid before you, giving you a look throughout the entire city, as you hear fascinating on board commentary through the audio system. Learn about the city as you see it before you, and its wonderful history. Once at the top, you get a 360 degree view that you shouldn't miss capturing on camera! One flight isn't enough? 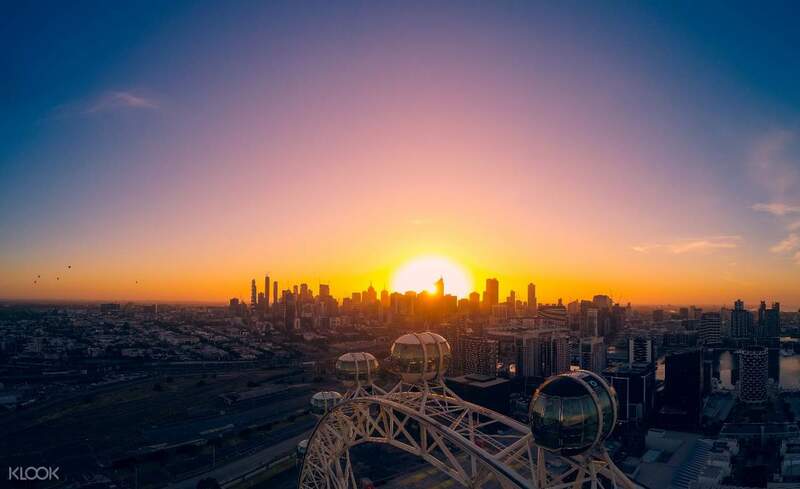 Get the Sights and Lights ticket so you can have a second go, this time at night, so you can see the beauty of Melbourne as its illuminated in the evening, with the city lights twinkling all around you. See Melbourne in a new way by riding this beautiful flyer! Reach new heights, as the peak of the wheel is as high as a forty-storey building! Very fast transaction. The attraction opens at 11AM. And we arrived before 11AM. 😂 Very detailed map of Melbourne’s famous buildings and architectures. Very fast transaction. The attraction opens at 11AM. And we arrived before 11AM. 😂 Very detailed map of Melbourne’s famous buildings and architectures. The view of the city was fantastic. I took both sunset and night ride, more people taking night ride. The view of the city was fantastic. I took both sunset and night ride, more people taking night ride. Amazing experience! Nice view at the top as well. As the glass is low, it can be a little intimidating especially if you are afraid of the height. Amazing experience! Nice view at the top as well. As the glass is low, it can be a little intimidating especially if you are afraid of the height. Easy to redeem. Great experience to see Melbourne city from the capsule. A definite savings to get the tickets from Klook. Easy to redeem. Great experience to see Melbourne city from the capsule. A definite savings to get the tickets from Klook. Took the ticket office some time to retrieve the ticket. But after that, The look is spectacular! definitely recommend! Took the ticket office some time to retrieve the ticket. But after that, The look is spectacular! definitely recommend! Spectacular view, nice​ location to​ get​ there.​Have​ a​ restaurant in​ the​ Area. Spectacular view, nice​ location to​ get​ there.​Have​ a​ restaurant in​ the​ Area. There are not too many people and not crowded at all.I went twice times on different days.So I experienced day view and night view.The weather was good and I really enjoyed whole journey. There are not too many people and not crowded at all.I went twice times on different days.So I experienced day view and night view.The weather was good and I really enjoyed whole journey.